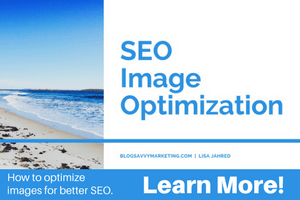 Check out my fresh new mini course on SEO image optimization — get the course NOW! If you’re serious about getting quality traffic to your blog, you need to be very purposeful in what you decide to write about. Otherwise you’re taking the approach of writing whatever you want which is the same as throwing a bunch of stuff out there and hoping someone reads it. Well today I’m going to show you the best way to get high quality traffic from every blog post that you publish. Let’s dive into the benefits of long tail keywords, where to find them and how to use them. Before I get into the long tail of keyword research, let’s review why you should do this research in the first place. If you were to write a blog post about something you were passionate about, would anyone else be interested? What if they were not? Then your blog would be a ghost town and no one would have an interest in reading it. Keyword research is a way to find out what your target audience is searching for in Google. Performing keyword research helps you understand what to write about so you can attract the right people to your blog content. What Does Long Tail Keywords Mean? Long tail keywords are phrases or questions that are very specific. Usually 4, 5 or more words long, long tail keywords are how people perform a large percentage of search queries online. If your blog post is a good match for someone’s search query, then you have a better chance of showing up in Google search results. But … it’s not really about using that phrase over and over in your blog post. It’s about fulfilling the intent of a user’s search query. In other words, answering their question through your content. Most people are using voice search on mobile devices to search for information – lots of questions! For example, if someone is searching for “can you blog about anything,” the search results don’t necessarily have that exact phrase in the title. Instead, content in the search results answers the question in a number of ways, including the best ways to start a blog. At another new blog of mine, I started using long tail keywords as the basis for the content I created. Check out my search traffic result! There are a number of ways to find long tail keywords and I will focus on the top 3 here. One of my favorite ways to find Long Tail keywords is AnswerThe Public for keyword research. As I mentioned, people ask questions all day on the Internet and this website collects those questions about a given topic. You enter the broad or general keyword term in AnswerthePublic and you’ll get a visual collection of questions about the topic. I love this tool! It can give you some great ideas of what to write about or another way of looking at something that you didn’t think of before. You can click on any results in the visual image and you’ll land on Google search results for the long tail term. Google Autocomplete is an underutilized tool that works great to find out what people are searching for. Go to the Google search box and type a search term but don’t hit enter. A list appears with a variety of searches that start with the terms you used. Now type a letter but don’t hit enter. The list updates with searches based on the term you types plus the letter. You can continue typing various letters or phrases to find even more great long tail terms on which to focus your blog post. Finding great long tail words in Google Related searches is always on my checklist! Just type a term into the Google search box and hit enter. Now scroll to the bottom of the page. You’ll see about 8 search queries related to your original search. Click on any one of them to perform a search and see even more great long tail keyword ideas! Now that you understand why keyword research is important and how to find some great long tails, let’s get into how to use long tail keywords in your content. This is not necessarily the case where you need to use the exact match of the long keyword phrase. For example, you are not going to sprinkle this long tail term or question through out your content. It’s usually a good idea to include your keywords in the title to entice a user to click your post! The point is to write comprehensive content that provides an answer to the search query. For example, here’s an article I wrote a few years ago. You can see the search term is not exactly a match for the title of the blog post in search results. And, that term is not sprinkled throughout the article. But … I address the question through the content which fulfills the user search query. Therefore Google sees this piece of content as a good match for the search query. Google return the results that are the most relevant to the user. Doing keyword research is the most important step to creating great blog content. If not, how would you know what your audience is interested in reading about? When you use long tail keywords, you can narrow down the competition and rank for many more search queries. What are your best ways to find long tail terms on which to focus your blog content? This was incredibly helpful, after struggling with keywords and trying to upgrade my SEO I think I finally get the whole idea of long tail. Thanks. Faith, glad you found it helpful! Long tail keywords can bring quality traffic to your blog due the focused interest level. Very insightful, thanks for sharing! 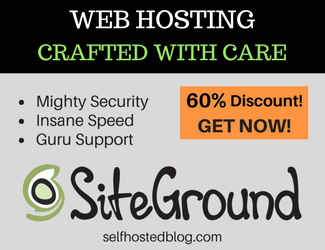 Which Blogging Site is the Best for You?